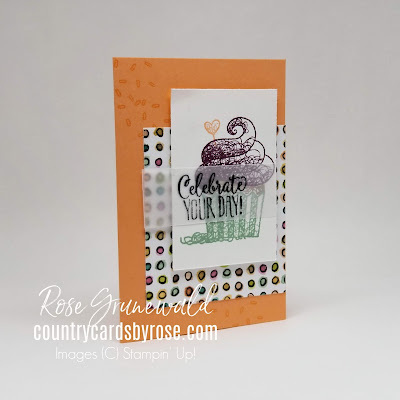 I have so much fun stamping LIVE! For those of you that missed it, don't fret...I've got a replay for you in my blog today! 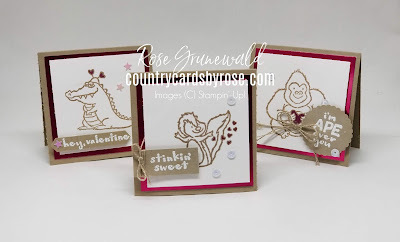 I had a blast making some adorable miniature valentine's. I'm in love with those cute critters from the Hey Love stamp set. That skunk is literally stinkin' cute! Crumb Cake - 6" x 3", score/fold @ 3"
Lovely Lipstick foil paper - 2 3/4" x 2 3/4"
Whisper White - 2 1/2" x 2 1/2"
These cards sure are eye catching, aren't they? I love the bright Lipstick foil paper against the neutral tone of Crumb Cake. 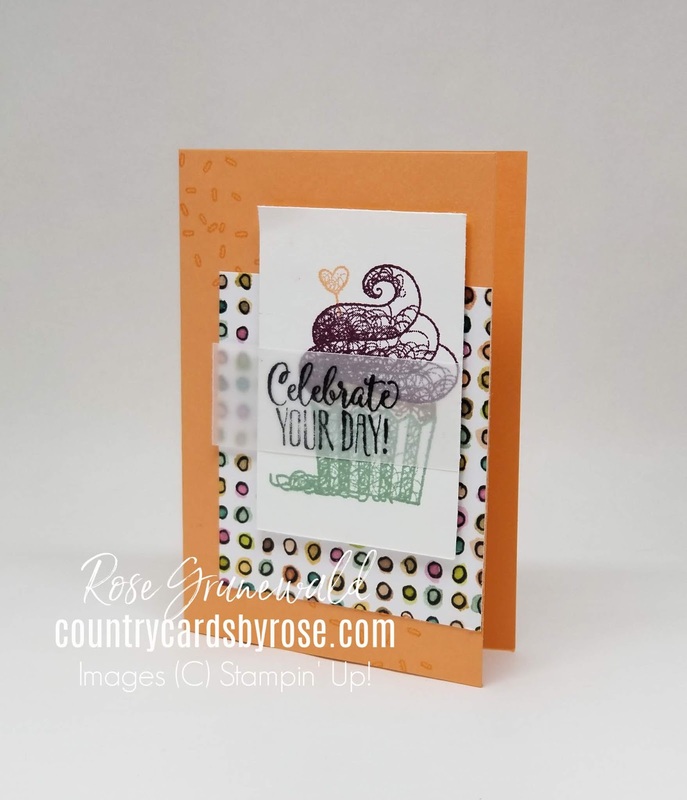 I was inspired by Stampin' Pretty for the layout. 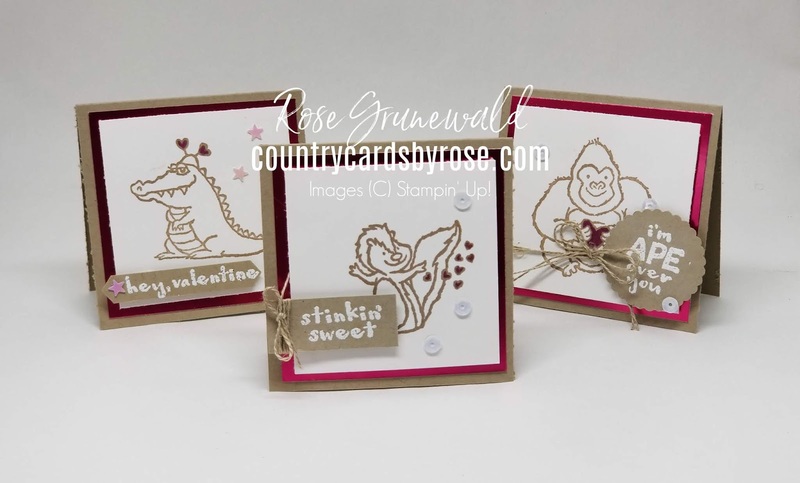 Did you know that the Lipstick Foil paper is FREE? Yup, it's one of the freebies during Sale-A-Bration. It comes in a package with Grapefruit Grove foil paper. Beautiful! 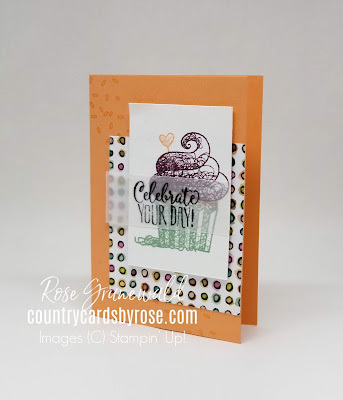 Next I did some more #simplestamping on a bright and fun birthday card! I used a piece of DSP from the Share What You Love DSP in the big annual catalog. The ink colors were easy to choose just by looking at the tag to see what colors match the DSP. What an easy way to coordinate your colors! Grapefruit Grove - 5" x 7", score/fold at 3 1/2"
Share What You Love DSP - 3 1/4" x 3"
Whisper White - 3 1/4" x 2 1/4"
Vellum - 2 3/4" x 1"
Finally, I did some layering on this gorgeous all-occasions card. 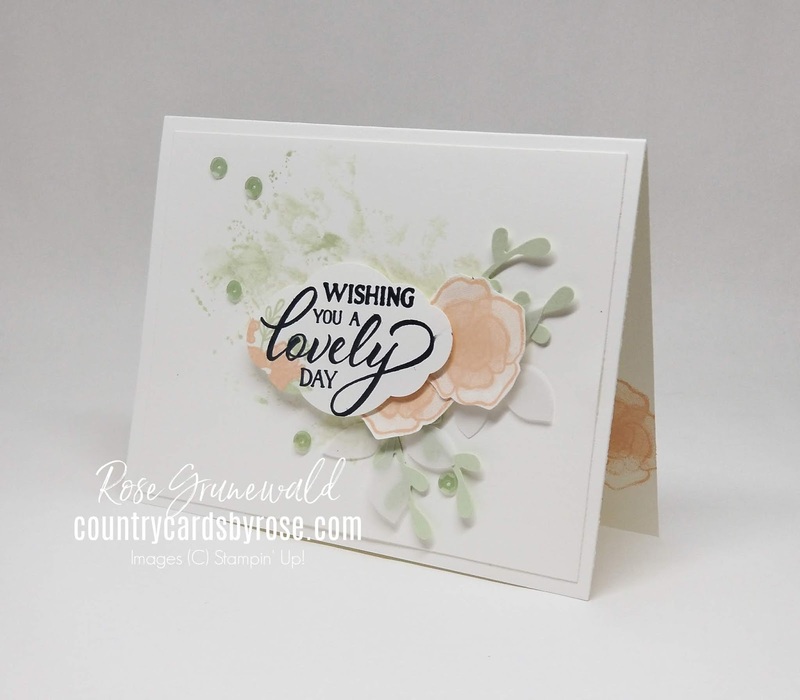 My inspiration for this card was the color palette from this week's Global Design Project. You can check out the other card I made with this color palette HERE. 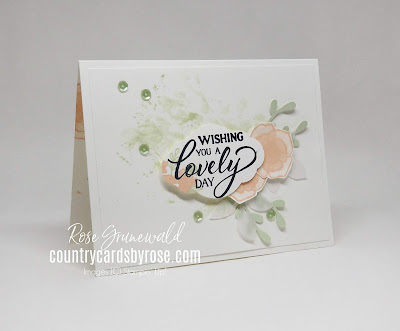 I used a really simple watercolor technique called "smooching" for that pop of Soft Seafoam on the card front. I know I'll be using the technique a lot for an extra pop of color when I feel like something is missing from my card. 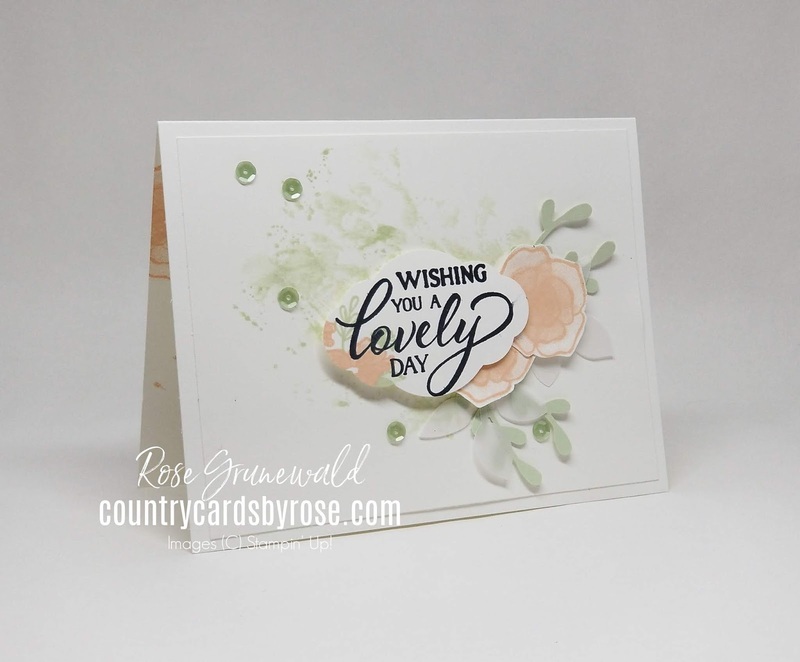 Whisper White Thick - 5 1/2" x 8 1/2", score/fold at 4 1/4"
You can watch the replay of my live stamping event by clicking the video below. Feeling sad that you can't get in on my prize give-away? Then make sure you join me next week on my Facebook Page Wednesday night at 7:30pm CST.